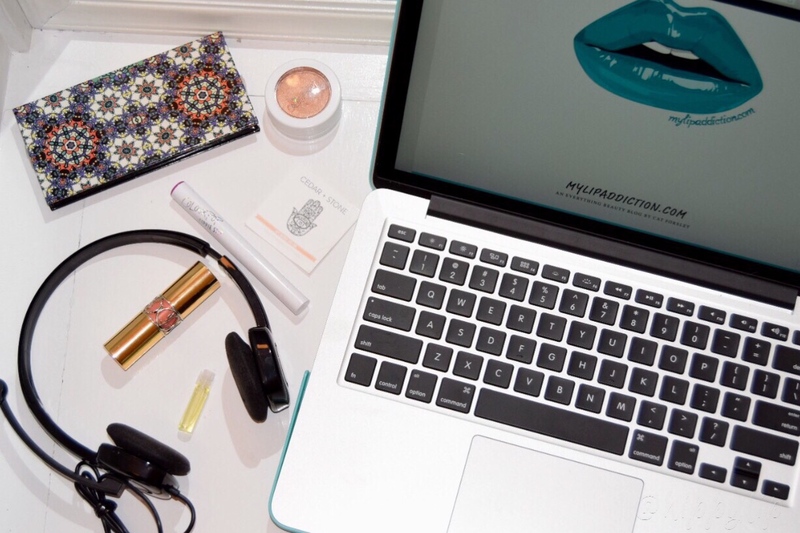 I have been posting updates of a new beauty podcast that is owned and operated by Cat Forsley at mylipaddiction.com and what’s really interesting is Cat is pioneering beauty podcasting in Canada. The conversations are interesting, laid back, informative, and funny. The Podcast airs every Thursday at 7pm EST. if you want to get to know my I am interview on episode 3. I have to admit this interview was totally out of my comfort zone, but Cat is REALLY good at making the interview process feel comfortable and fun. We literally burped, coughed, cleared our throats and laughed our asses off prior to the actual recording. It’s one thing to write about brands and products that I love/hate, but to talk about my personal life and passions in an unscripted interview was an experience I can’t describe. You just have to listen and decide for yourself. If you do happen to tune in, please rate the podcast via iTunes or any of the other outlets. Good or bad we would love to hear your thoughts!! Cat has previously interviewed LittleBeautyLoves and Stash Matters and I had so much fun listening to both. Cedar + Stone x Urban Outfitters Cool Down Cucumber Spray is now available. Colourpop is now shipping international and they do have some limited editions left. YSL Beauty their Vinyl Cream Lip Stain is now available. Jeffree Star is launched his new limited edition summer Velour Liquid Lipsticks on 7/21/16. How perfect is that? The same day my interview aired!! Huge thanks to Cat for giving me he opportunity to be a guest on her podcast, you truly are a great host and wonderful person…..KILLING IT!! I hope you all take the time to listen and GIVE US SOME LIP!! Thanks you for listening!! I really had fun doing it. You should reach out to Cat if you are interested!! I love your blog, it is really cool!! Thank you!! I’m glad you stopped by! Thank you!! Now tell me what you think? Did you like it?? She does! And she is perhaps one of the most dedicated, passionate, and hardworking person I know! I believe you she has to be dedicated and passionate to be a nurse, especially in the ICU. Tell her I appreciate all her hard work!! Really? I felt like it was only a few mins when we recorded too. Cat just kept it moving and It was really fun talking to her. It was free flow so I wasn’t even sure what she was going to ask. You should reach out, she’s great at what she does. Thanks again!!! Believe me when I say it was totally out of my comfort zone!!!! I felt completely comfortable the entire time and the time just flies. It’s over before you know it. No way!! I’ve watched your YouTube videos!! Not boring at all. Woot! Can’t wait to listen in! Thanks Jodi!! When is your interview?? I will be tuning in every Thursday so I know I won’t miss it!! You burped in the podcast?!! LOVE IT! 😆 I’m tuning in just for THAT. I know they will …………… ! Before…..Cat made me do it!!! I just finished the episode and I have to say, WELL DONE! I loved learning more about you and hearing about your job. I love makeup as much as the next addict, but I truly think that the other aspects of ourselves say so much about us! Your passion really shines through! And oh yeah, the dead fish story. ICK ICK ICK! I’m glad your skin cleared up!